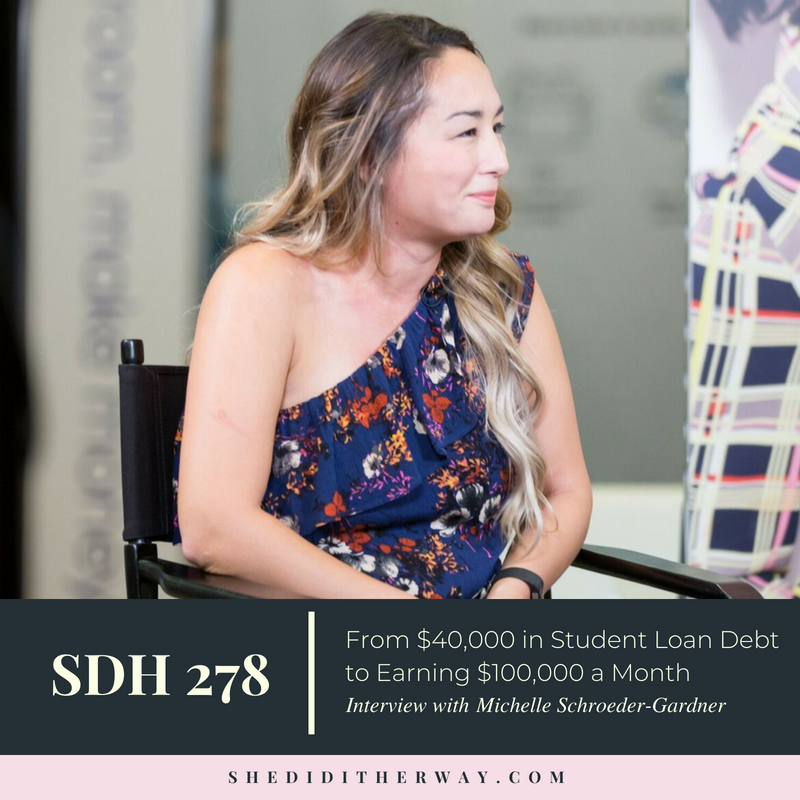 Michelle Schroeder-Gardner is the founder of Making Sense of Cents, a personal finance website that helps readers learn how to save more, earn money, and live more. She currently earns over $100,000 a month from her blogging business and shows no signs of slowing down. She currently travels full-time with her husband and two dogs in a sailboat. She used to have $40,000 in student loan debt and was struggling, living paycheck to paycheck. She paid off her student loan debt by the age of 24. Michelle runs a personal finance website as well as an affiliate marketing course for bloggers. On her blog Making Sense of Cents, she talks about different ways to make extra money, the best ways to save money, achieving your dream life, travel, and more. "In the beginning it was more about making more income, increasing my subscribers and stuffs like that, but today it's more about trying to find ways to make the business more passive and just having a better work-life balance in general." Affiliate Disclaimer: I am part of affiliate programs. That means you may click a link or make a purchase through that link from my website and I can earn a commission for that sale. I cannot be held liable for any external links or purchases you make. Per FTC guidelines, this website may be compensated by companies mentioned through advertising, affiliate programs, or otherwise. Any references to third party products, rates, or websites are subject to change without notice. Please do the appropriate research before participating in any third party offers.